Strategy is not a new concept, but over the past several decades, business strategy has become increasingly critical to business success, due to a rapidly accelerating competitive environment, globalization, and new technologies. Companies and individuals need to adapt their strategies to address competitive challenges and shifting industry conditions and must be prepared to react both offensively and defensively in order to maintain their advantage and careers in the industry environment. Join expert Sharon Mertz to learn what actions your company can take to proactively maintain and grow its competitive position. You'll also explore effective reactive strategies to meet quickly shifting markets and discover the importance of a rapid defensive response to combat attacks from rivals. You're an individual contributor who needs to understand how your company’s strategic moves in the marketplace may impact your role and contribution within the organization. You're a director with broader managerial responsibilities, and you need to develop creative reactions within your area of coverage that align with your company’s offensive and defensive moves against rivals. You're involved in strategic planning and need additional insights on how your company can identify and take advantage of new market opportunities. 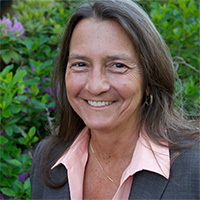 Sharon Mertz is a consultant, research analyst, and graduate business instructor focused on evaluating and setting strategy for businesses in both domestic and international environments in high-tech markets and other industry sectors. Throughout her career she has been providing analysis and guidance to executives, technology development organizations, and graduate business professionals. She held an international assignment at IBM based in Paris, France, as practice leader for IBM's strategic consulting organization responsible for projects and staff in Europe, the Middle East, and Africa. Dr. Mertz also held management roles at KPMG, Hewlett Packard, Bull Worldwide Information Systems, and Digital Equipment, serving CIOs and information technology leaders. She is an accomplished keynote speaker and has addressed audiences at both commercial and academic conferences internationally. Dr. Mertz is an instructor at the Harvard Division of Continuing Education, where she instructs industry executives and professionals in topics such as strategic management, leadership, and technology within multinational corporate environments. As a consultant and principal at Red Salt Advisory, she also provides advisory services for boards of directors, strategic planning organizations, and corporate research functions.